This board is the digital and analogue interface to USB interface and amplifier, as well as the DAC Modules. This board is the extended version of the previous mainboard and has also SPDIF input (WM8804). with a simple switch, WaveIO-USB input or SPDIF can be selected. An option for a TENT Clock (see others-link for this option) is on board already. Also new is the on board buffer logic, being capable of driving 8 decks (tested). 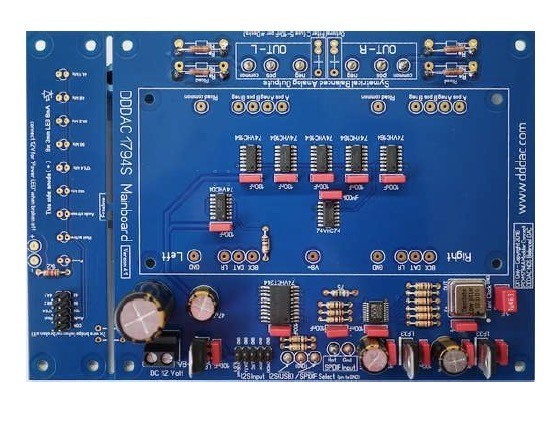 This board can be used to upgrade existing DACs! 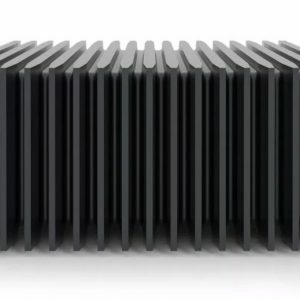 Garantie op de DDDAC boards en onderdelen omvat alleen constructie fouten in de SMD assemblage van de DDDAC boards, Bij problemen met het functioneren van de DDDAC na zelfbouw is het van belang dat de DDDAC is gebouwd volgens de bouwhandleiding én is opgebouwd met de originele, bijgeleverde electronica onderdelen. 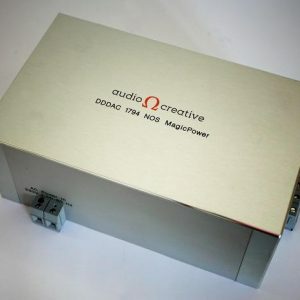 Bij uitsluiten van hardware problemen van de DDDAC boards en het ontstaan van defecten te wijten aan slechte soldeerverbindingen of anderszins gemaakte fouten bij constructie en/of aansluiten van de DDDAC vervalt iedere garantie. 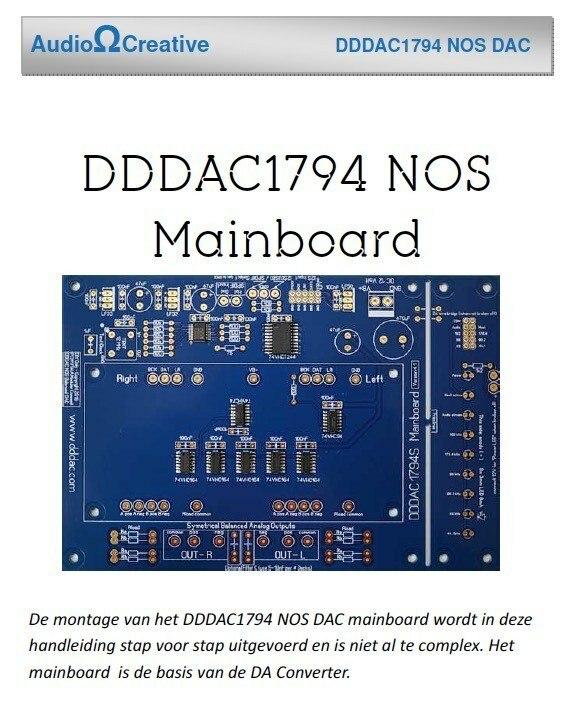 Daarnaast doet iedere modificatie aan het DAC board of Main board en/of aanpassing in de onderden of constructie deze garantie vervallen. This Limited Warranty covers only defects and errors of the PCB and SMD workmanship. During the Warranty Period, Audio Creative will repair or replace, at no charge, products or parts of a product that proves defective because of this. In case or malfunction, what do you have to do? To obtain warranty service, you must first contact us to determine the problem and the most appropriate solution for you.